Since we entered into the year of 2008, the year the Star Elders said we would reclaim paradise and make the shift of the ages, I have felt anything but that. The energies have gone from intense to off the chart. We are getting tossed, turned and wacked right out of left field in an earthquake of changing influences and energies. As a dear sister put it to me one day, "There is a battle going on is there not?! And we sure ain't sitting back in the movie theatre watching this one!" Many are telling me the same story over and over. We have seen more dark dramas played out in our lives recently, than we have in our entire lives. We have relived old Atlantean dramas right down to personal family karma. It has nearly taken over our awareness and our lives. We feel we are drowning in the dark energies of the world, and it is suffocating. We are being awakened in the night with huge waves of bombarding energy causing us anxiety. We are getting hit so hard that we fear that we may get pulled under the powerful currents and go down for the count. We are not getting answers from the outside any more, and we feel like islands instead of the communities that we crave. We have had a lot of loss. Many have crossed over to greet us from the other side. We wake up each day surprised we are still standing here. The world has become increasingly stranger by the day. We are feeling an increase in dark, mis-qualified energies while feeling a simultaneous increase in the light. We know we must stay diligent and stay focused in the heart. We can see clearly now what is out of integrity with the world and our lives. We have learned a lot about spiritual anger and how it is not a good thing, even if what we are fighting for is a righteous battle. We go from fogginess, despair and hopelessness . . . to great windows of clarity and immense inspiration. Are we confused? No . . . we are just ascending! It was in one of these windows of lucidity and inspiration that I had a glimpse of cherished clarity. I woke up with the smell of sweet flowers in the room, yet my heart was full of heavy, negative thoughts that is so unlike who I AM. The distance between the light and the dark was immense. I felt Jeshua and Angels were watching over me. It was not what I expected to feel while feeling such darkness inside of me. Why were they here? Didn't they know I was in a bad mood? I cried out "What is this?" This is the message that I recieved . . .
Jeshua said . . . "We all know that you are to become Ascended beings, Yes? So what happened to me (Jeshua) just before I made the ascension?" Then his story played out like a movie in my head. I saw Jeshua take upon himself the sins of humanity (a.k.a. negative egos - mis-qualified energy - dark forces, etc. . .). They felt like a heavy, unbearable burden. It was the cross that he had to bear. He did not just carry them, he owned the feeling as his own. Then he transformed them with his inner light. He didn't DO anything but KNOW who he was and BE it. This knowing, the "I AM that I AM" transformed the atrocities of the world he was carrying. He then forgave the mis-creations of humanity, and for the pain it caused him. Then he ascended by embodying the 13th code. When we merge back into the ONE . . . we will feel everything and will be personally responsible for what the entire collective has created, because we are a part of it all. After all Jeshua said "What I have done, you will do also . . . and greater things!" Ascending into a Master being, by its very nature, could never be about personal gain, or a personal agenda. This global ascension, because of the heavy burden involved, is a huge selfless act for anyone that dares to take on the job. It is a huge act of indescribable compassion, forgiveness and unity. In the act of ascension we rise above the duality and sepration of good and evil and return back to the ONE. Could we be doing the same thing as Jeshua did, right now? If we are feeling the crunch of the world's darkness upon us, could it mean we are at ascension's door right now? This could explain why we are feeling these things today. Is this the last of the last step before paradise? Are we about to embody the 13th code? The 13 Codes of Ascension . . . The original vision of the creator, and how we fell from Paradise (a very, very brief accounting). There are 2 ways that we enter a material form to create a spirit in a human body. We have to create a physical body up from the 9 underworlds of Earth. This dense, clunky, material body (an Earthly space suit so to speak) is subject to gravity, time and dimension, and it takes a lot of energy to maintain it . . . at least for now. Simultaneously, we also have to bring down our Spirit through the 13 Heavens, or 13 CODES, into the body, so we can live physically and have creative consciousness at the same time. The blessing is that the Spirit has no limitations at all. The fact is simply this . . . we were not born here . . . we fell into this life. Bit by bit we fell. Our awareness of unity, oneness, and how to use the creative power of the universe was lost bit by bit as we fell into our denser, Earthly body. Some of us remember screaming all the way as we fell. This is not a fun process. We fell through the 13 codes. We made it through all of the first 12 codes. We almost embodied the 13th code, but the fall of Atlantis forced us to reschedule this event to a later time. That time is now. The 13 Codes of Ascension - This is how you fell here. In code 1, we were ONE with all life and all life was all ONE. This is what we might perceive as heaven, nirvana, or paradise. Many of us still remember this glorious space, but this memory can also make us quite homesick. In code 2, the creation of a dimension took place. It created a base location, of sorts, for life. All of creation was still untied in this dimension. In code 3, the dimension split creating multiple, uncountable dimensions. It also created duality; the light and the dark, the right and wrong, etc. . . . Space was created and space grew between dimensions. All of us living on this planet now are in this one dimension and are only slightly aware of the other realties. In code 5, sound, vibration, and frequency were created adding definition to the movement. Many sound healers use this code for healing. In code 6, memory was created and history began. Memory is a huge part of our problem now, as it anchors us to the past, and keeps us from living in the present moment. We each have a small seed of memory of the united one within us all, and this is our path back home to this oneness. In code 7, creative power was formed. It is what we now know as Spirit. This is our energy source in which we can as creators. In code 8, the elements of fire, water, air and earth were created. Planets were formed in our dimension. In code 9, the mind and consciousness was created. Along with it was the ability to put to use the creative power. In code 10, finally the physical body was created. This was to be a tool in which we could create with consciousness and physical reality. The issue is that we tend to identify with the limiting, physical body as who we are. It is not so. Also, code 10 created beginning and endings, cycles of life, and birth and death. In code 11, the creation of the family, community and collective consciousness took place. In code 12, we began to work with collective creating. Here humanity learned how to cope with the issues of creating together through trial and error. Yep, you guessed it . . . this is where we are right now. In code 13, we finally arrive fully into life and back to ONENESS all at the same time. But here is the catch . . . You see, we have not been fully born into life yet. This is why you always feel something is missing, or think there should be more to life than this. The loss of this missing code has also driven you to search for it. Could this be were the Christian's idea that we need to be "born again" came from? Code 13 is the collective ascension back into ONENESS. It is a rebirth into a higher plane of existence while in a physical form. This is what we feel is missing and continue to search for. This is a time that the Ancient Maya foresaw and recorded with the grand calendar cycles. This is why you and I are here . . . to reclaim that code! This was a grand plan of the great creator (by the way, this is US, collectively) was to let go of everything that we knew as the one to enter a new physical reality. In the letting go, we will gain a higher plane than we had before and new higher cycle. We embarked on this grand journey with great courage and with little or no memory of the ONE, of where we came from, or of what we lost. The grand plan was to experience a vast and extensive journey of re-discovery of universal truth and oneness. We wanted to challenge ourselves to recover the Light and the Truth with only the faith of a mustard seed. There was a tiny seed of light which was still inside of us when we completed all 12 codes. 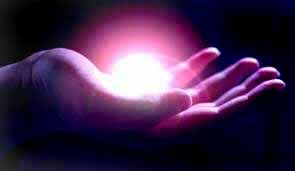 This is an inner light that we all have within, and which we have nurtured and developed. The question was . . . could we get back to Oneness while in a physical body? As we enter the 13th code, there will be no path to follow. It will be confusing, and we will have to trust ourselves . . . our HEARTS. Our ancestors did not go here, so they will be no help for us. Gurus, teachers and prophets will not be any help either. But they have taken us this far. Thank you. We are all in the same boat now. We all are seeds of light . . . the light keepers that will bring in and anchor the last and final 13th code. This may very well be a reason why you were called here at this time. They say this is why you are reading this now. As we enter the 13th code, systems, programs and ways of life will become obsolete and will fall away. Once we are fully awake with all 13 codes, there will be no need for laws, dogmas, traditions, governments, programs, social standards, and even organized religion. Once we are awake, we will not need these types of protective programs around us, because we will be impeccably conscious and take right action in every situation. At the time of the fall of Atlantis, and the mass migration to Egypt, a vital key to manifesting the 13th code of creation on the Earth was temporally lost. This cataclysm in the past is still affecting us now. Our world is drowning in this catastrophobia. It is our job not to feed this illusion in anyway. The betrayal, abuses and attacks we suffered in history can return to fear and thus confuse the truth. These fears are just old memories returning to be cleared out. This is our cross to bear as we come back to the one and embody the ascension of the 13th code. Remember our heart is the truth absolute, and the ONLY TRUTH. 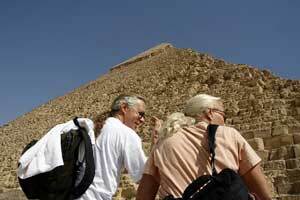 On the last day of our Egypt trip in 2008, we were able to spend 2 glorious hours of private time inside the great pyramid of Giza. (Giza story linked here). It was here, 18 years after the first vision of the 13 codes I had in Palenque, Mexico, that I had a second vision. This time, they were not just a memory as they were in 1990 (Palenque story linked here). This time the Codes were alive, and became part of us. I could not stop crying. The joy, confirmation, and returning memory were inexpressible.